> No need to install any frameworks; TeXworks has them built-in. Thanks, I hadn't noticed this, or I had forgotten if I ever did. > installed them in ~/Library/TeXworks/dictionaries/. 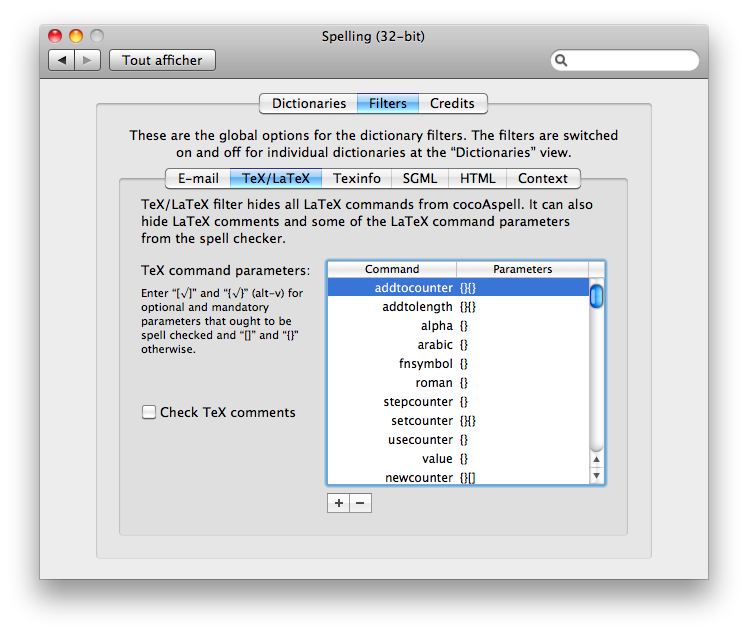 Library/TeXworks, so that the installation is for all users of a Mac? 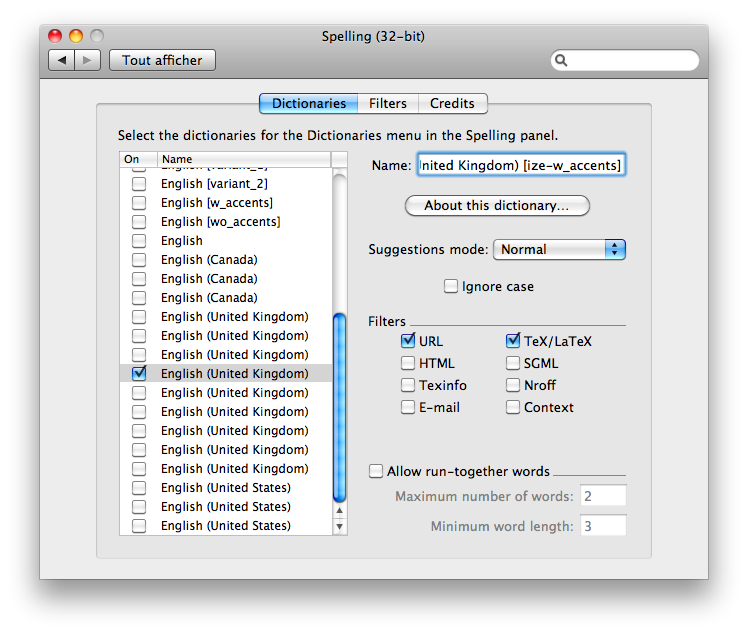 > >Spelling to the Aspell dictionary of choice. sequences are not flagged as faulty spelling.